My schedule has been very tight this month since I'm taking a working holiday in Sydney. Armed with my trusty laptop, this intrepid traveller set off for the other side of the world. Despite British Airways strikes (I snuck in to Heathrow on the only evening shuttle that operated all week) and an 11 hour flight, I made it to Hong Kong as the sun rose over the harbour. Hong Kong airport must be the quietest one in the world... people speaking in hushed tones... which must have been all the more worrying for locals to hear me muttering to myself about which time zone I was now on since I didn't want to miss my next flight! A 9 hour flight later, I arrived as the sun set over Sydney harbour, a beautiful way to see Sydney for the first time. I had 2 days to spare before publication deadline and I've been working furiously on the zine since, though (it has to be said) instead of working out of my office as usual, I've been sitting by the pool in the garden in 26 degree heat! I took short breaks for walks around the coastline and it would have been rude not to join my host for dinner and delicious Australian chardonnay in the evenings. 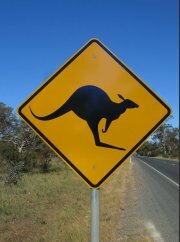 I'll be publishing my Australian Travelogue in next month's issue. Meanwhile, we have several new contributors for you this month, in addition to our regular writers. Following an article from January's issue by Kirsten Gronning, 'Parental Alienation is Child Abuse! ', Family Law Consultant Joseph Goldberg talks on radio about Parental Alienation Syndrome - see this month's article. We also have a brother and sister team writing on fashion, see our style pages. Our new addition to the magazine 'Parents in Dialogue' are back to talk about their experiences in holidaying with children as solo parents, which is beautifully complemented by Suzanne Seyghal's write up of holiday adventures (see the Travel section). Of course we have our usual collection of articles from our regular writers on issues of relationship, parenting, work and more. If you want to respond or comment to any of our articles, just send it to postbag - the address is at the bottom of each article. I would love to hear from you! Now go relax, make yourself a coffee and enjoy this month's Wikizine...!